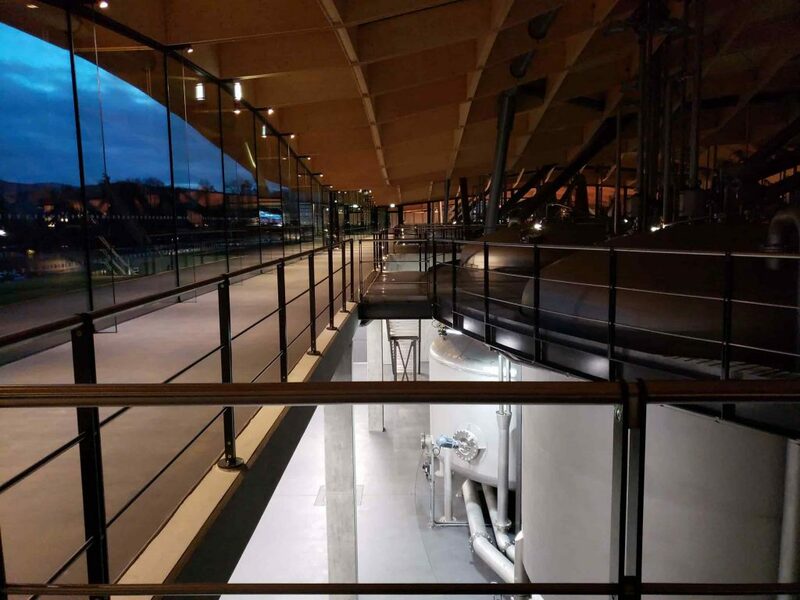 In November, we visited the newly opened Macallan distillery and tasting room after its $186M renovation. 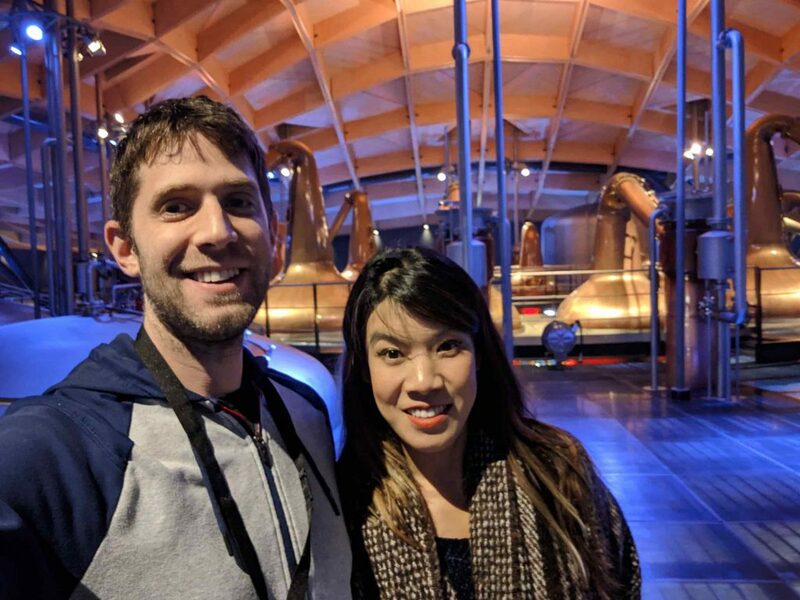 Macallan had just opened their new distillery and tasting room a few weeks ago, so we were excited to be among the first to visit. 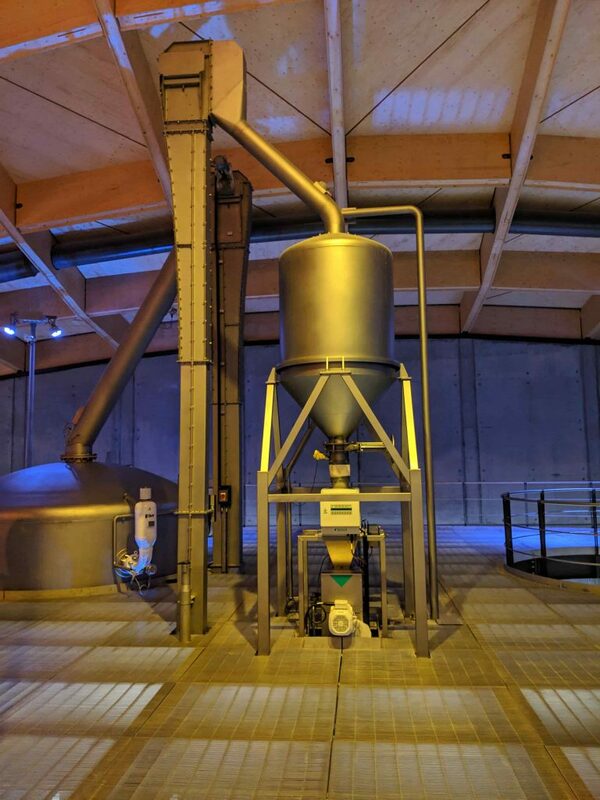 It was clearly designed for the instagrammer: although it is beautiful, the staff was considerably less knowledgeable than any of the other distilleries. We arrived at Macallan just before the sun set on the Scottish countryside. 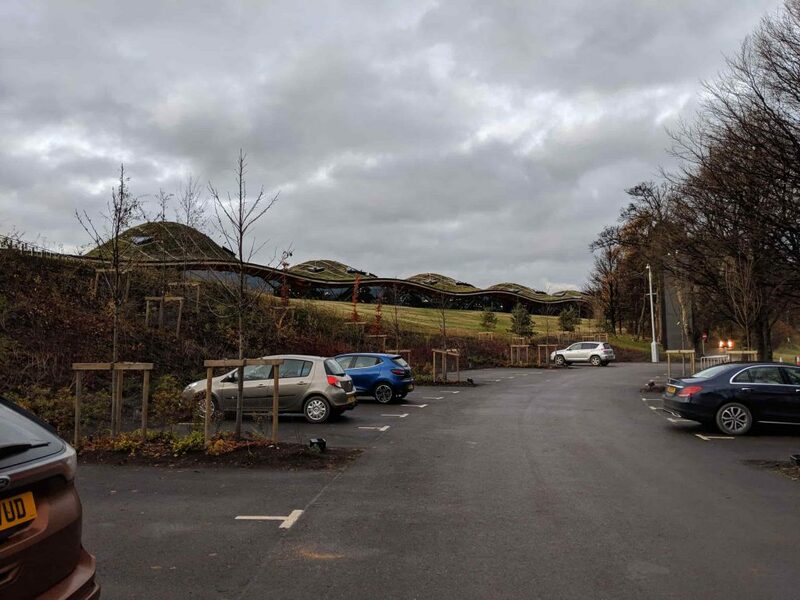 The Distillery is located in the heart of the Speyside, a short drive up the road from Arbelour (side note: it is highly recommended that you visit Arbelour if you’re going to go to Macallan). 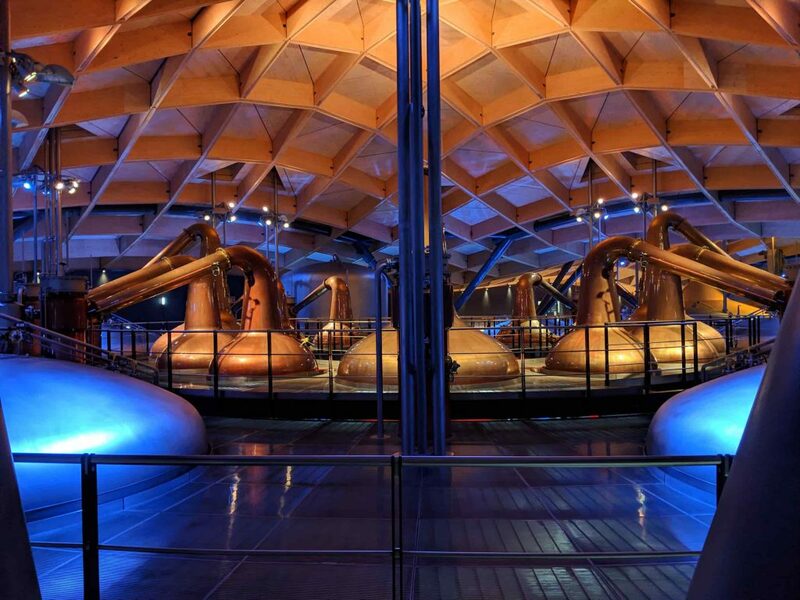 The first thing you notice about the distillery is the “living roof”. 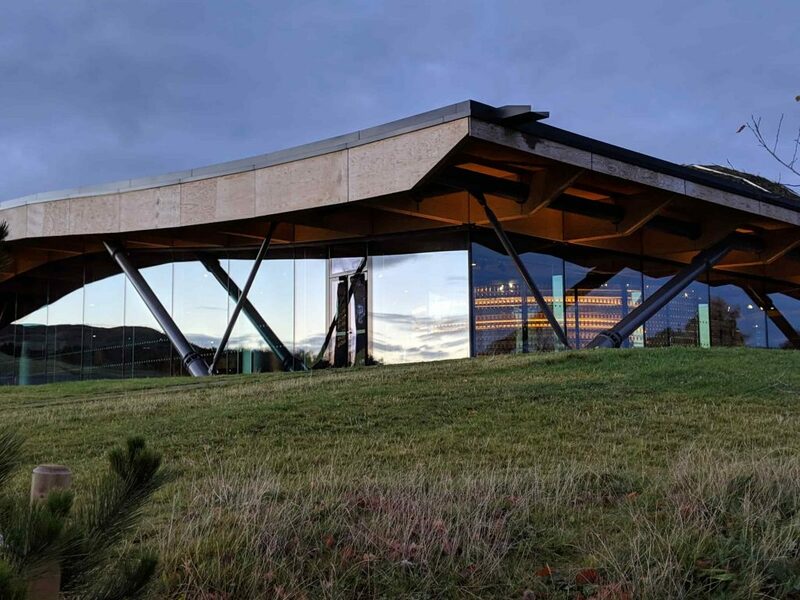 The architecture is incredible, and it looks like rolling Scottish hills, punctuated with windows. The distillery is immaculate and imposing. 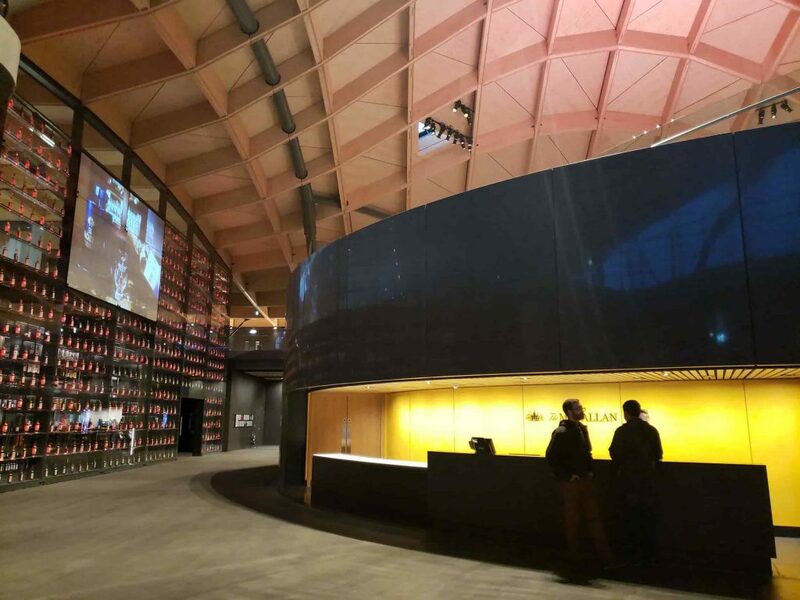 You enter a museum-like cavern with impossibly high ceilings, and you are greeted by a bevy of young women at the heavy granite counter for check-in. Although it was off-season and the late 3 pm tour, our tour group was the largest we have had in Scotland late November: 8 of us. I highly suspect during high season, the tour groups may get uncomfortably large. 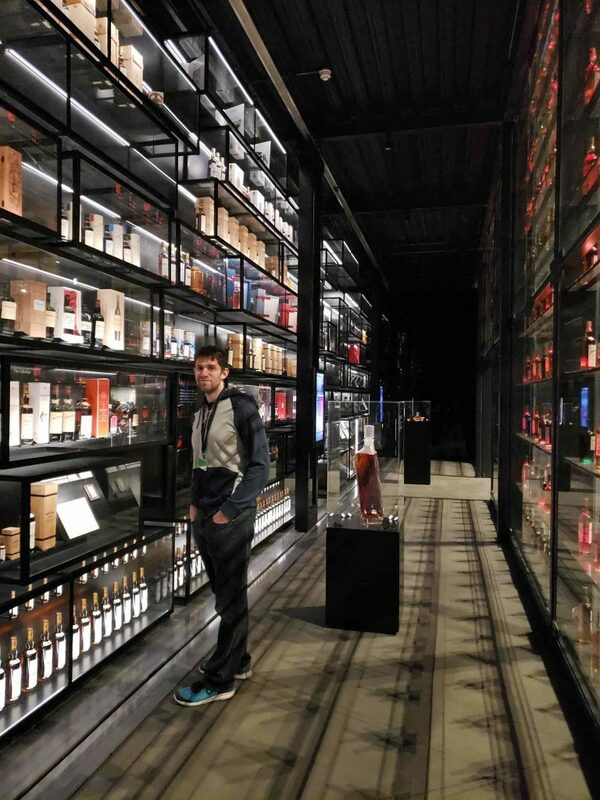 The tasting room features floor to ceiling whisky bottles. It’s beautiful and slight… austere? The walls of whiskies that are not for sale. And if they were, you could not afford them. 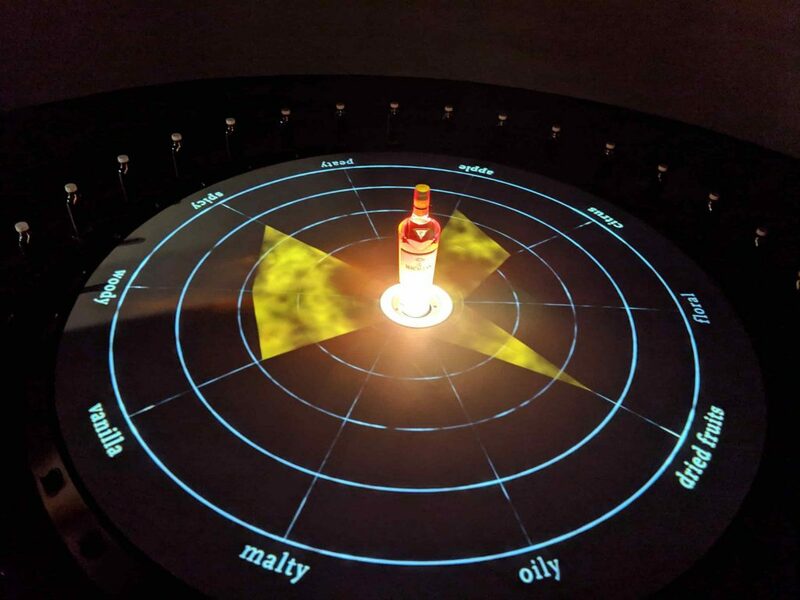 The specific tour that we had booked was the Macallan Six Pillars tour, which covers the fundamentals of their whisky-making process and featured a tasting of their core range at the end. To be honest, the tour felt like the Stepford wives. Everything was very manufactured. As you walk around, you cannot help but think of how many user tests a highly compensated brand agency (probably located in downtown Manhattan) had run through before finalizing each detail. It’s certainly impressive, but a bit too perfect. The tour was led by a very peppy attractive young lady and started by covering the Macallan estate. 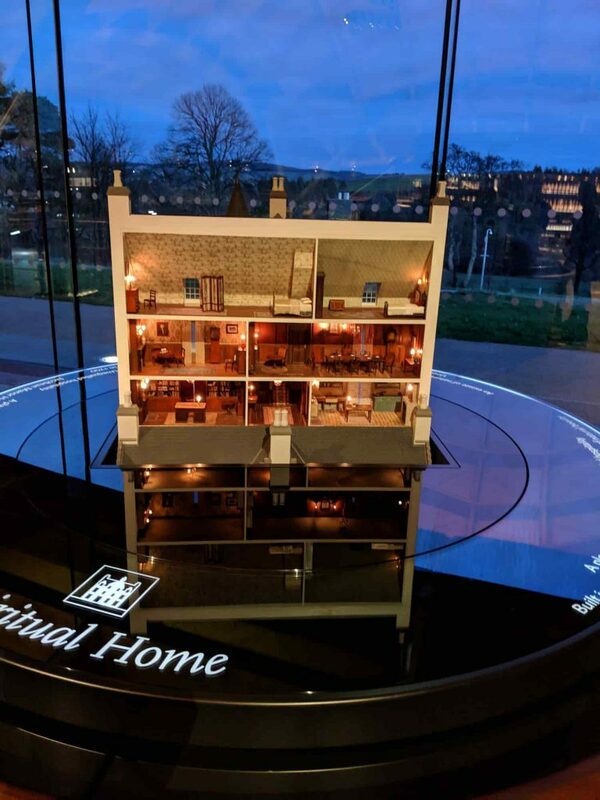 Rather than just showing the estate, the tour guide slowly turned a wheel to reveal an intricate dollhouse of the estate, which then cut away to reveal its rooms. Our tour guide explained it was so detailed that there was real Macallan in the tiny dollhouse bottles. What is this, a home for ants!? After seeing the “spiritual home” we walked over to the distillery portion of the cavern. 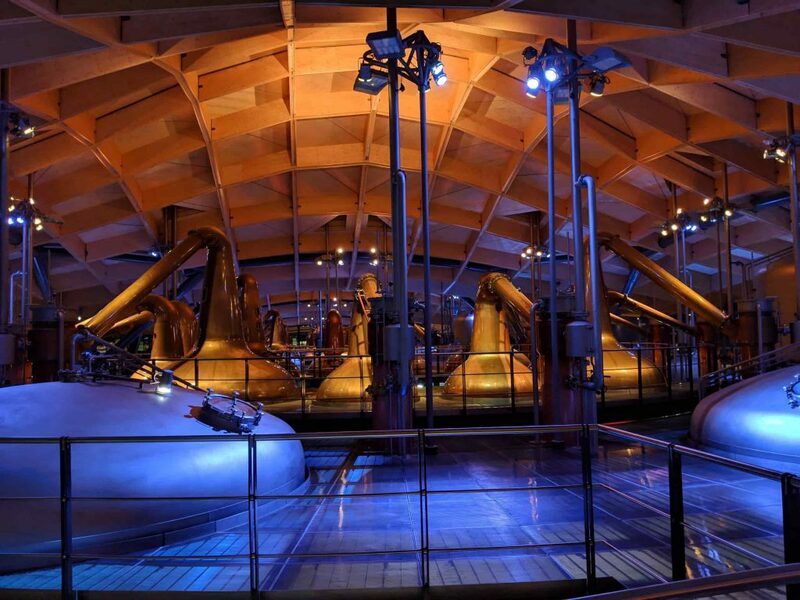 This was without a doubt the most awe-inspiring distillery I’ve ever seen and a marvel of engineering. Everything was planned out carefully, with layouts optimized for automation. 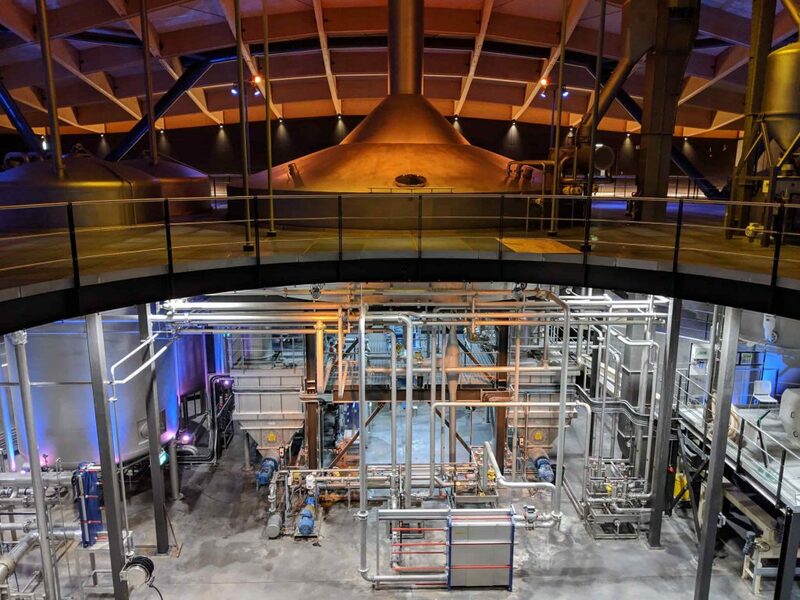 Most of the staff of Macallan are tour guides, and their level of automation is to the point that the giant distillery runs with only a tiny team of around a dozen operators. The distillery is also optimized for picture-taking. 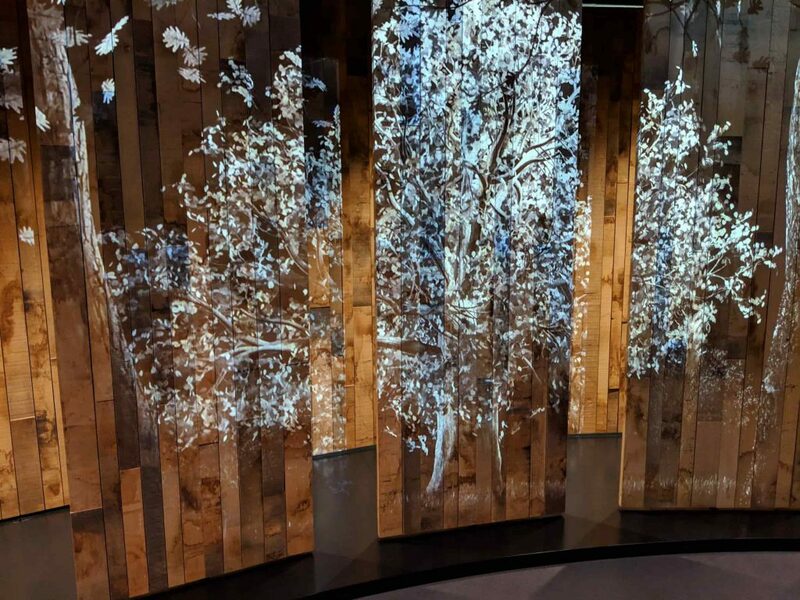 The tour operator can control the lighting in the whole factory with the push of a button, which seem to particularly skew toward Instagram-friendly blue and orange combinations. 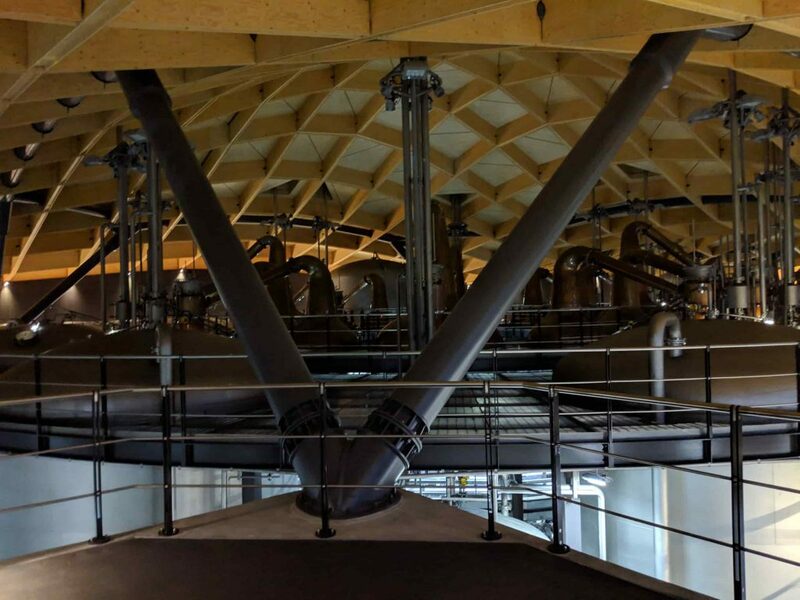 Pods of the signature adorably fat and round Macallan stills (which allow it to produce an oily spirit) are arranged neatly in circles. Our tour guide waited patiently as the tour group snapped away on our camera phones. After the main factory floor tour, we were told about Macallan’s barrel-making process. The distillery bought out its own Sherry bodega in Spain to ensure consistent, end-to-end barrel production. Each barrel can contain several liters of sherry after the sherry is removed. 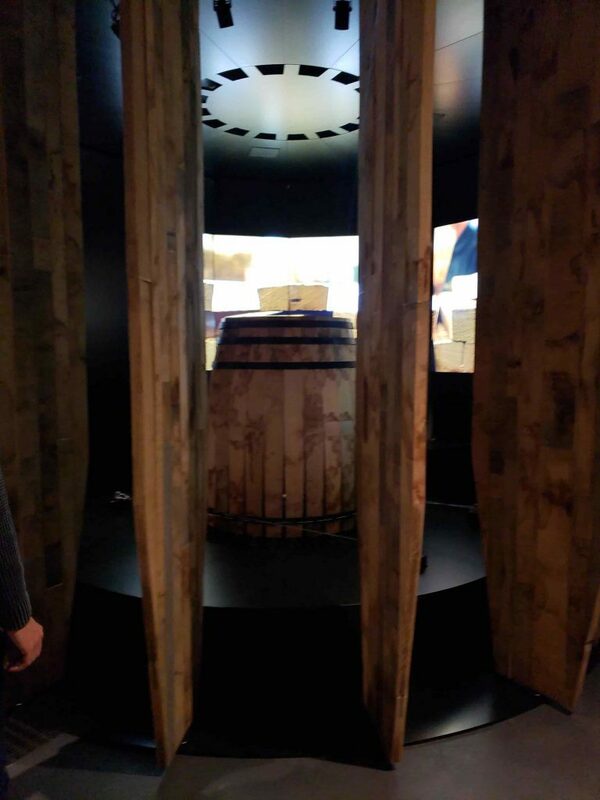 This portion of the tour became very propaganda-heavy, and after the barrel tour, we were shown a marketing video (which I mostly forgot about). 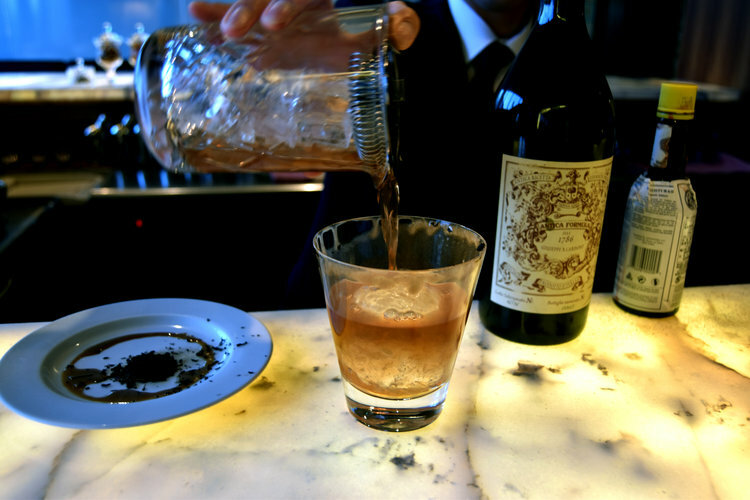 Much of this portion extolled Macallan’s commitment to sustainability. The videos seemed to finish within a focus group tested amount of time, because just when we were starting to get fatigued, we were ushered to begin tasting. 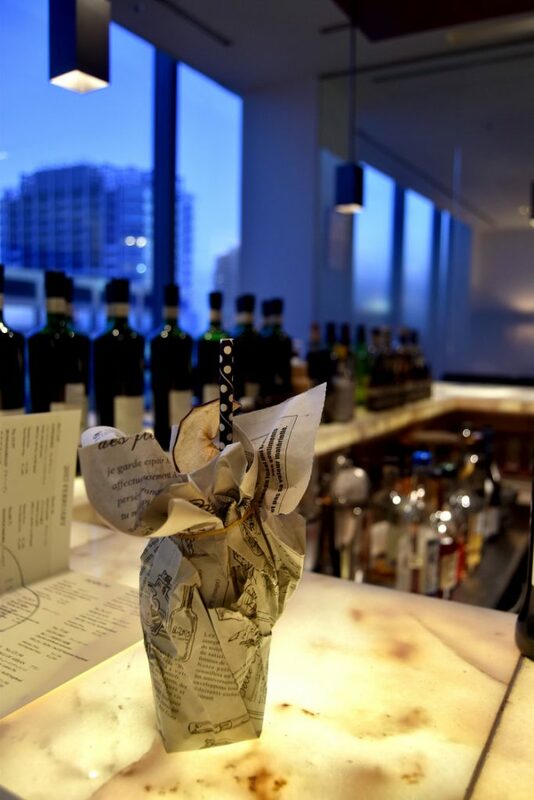 The samples included their white dog, three different 12-year-olds, and the Lumina (Macallan’s duty shop whisky). You’re probably familiar with Macallan’s core range, and the duty shop exclusive was honestly nothing too special. 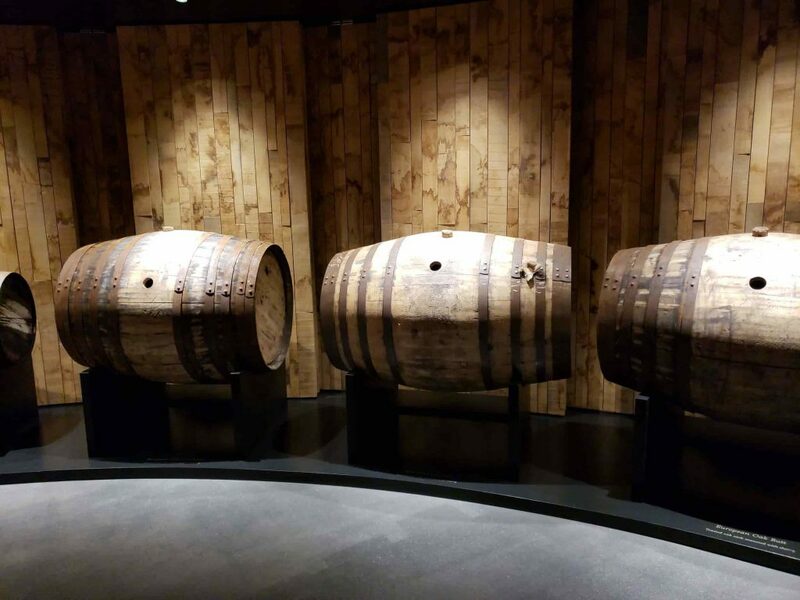 The highlight of the tour is really the distillery itself, and although it feels artificial in comparison to many other distillery tours, I would still highly recommend a visit. It’s impressive. 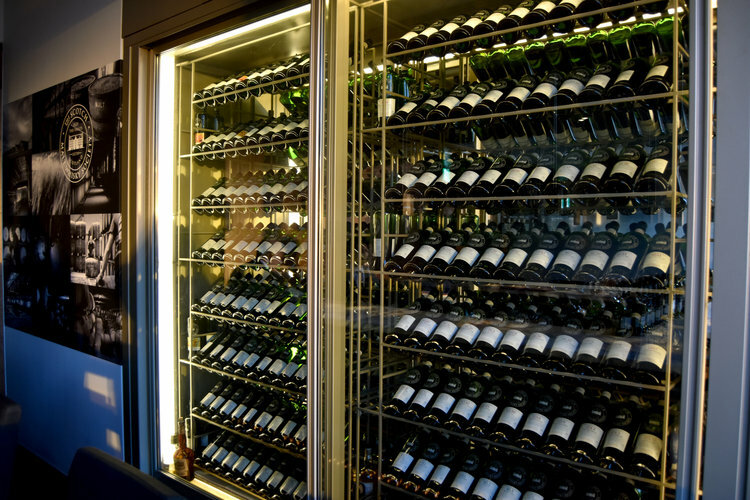 Sadly, however, a visit to the distillery will not give you access to any exclusive bottling. 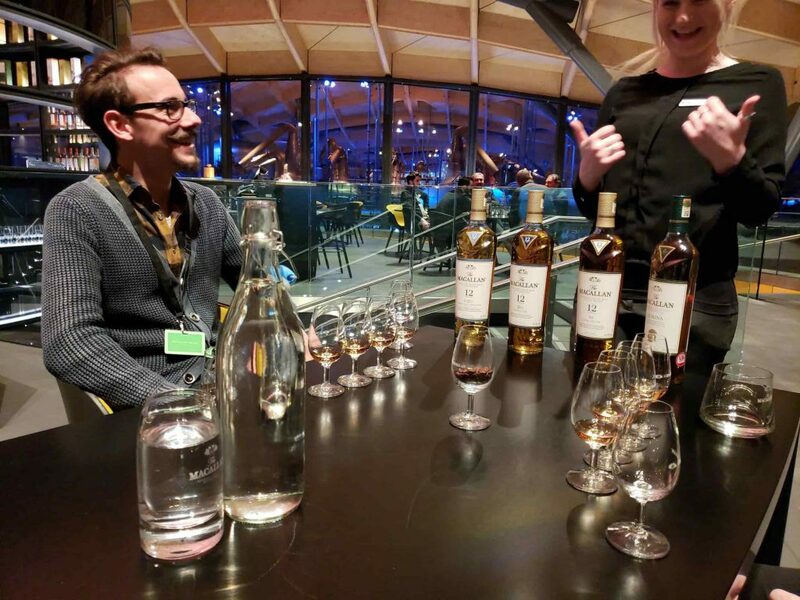 We asked, and the Macallan staff said that that they had decided not to do distillery-only bottles – and if they did, they would simply sell out within minutes.